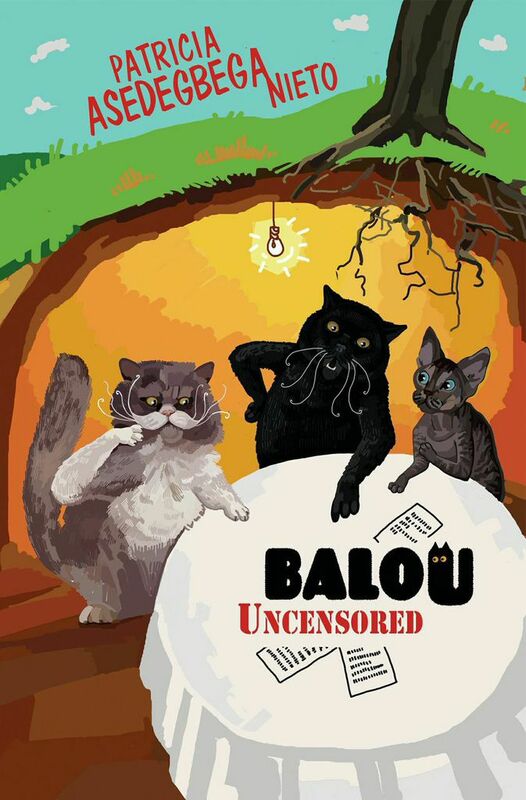 Today I’m very excited to be interviewing Balou who will soon have his very own guide-book Balou Uncensored coming out. Welcome Balou please tell us a little about yourself. Thank-you. I am a black British Shorthair cat and anyone who has seen me will tell you, I am quite pleasant to look at. I live in sunny Spain and share my home with Rosario, Adela, Juan, Marcos and Marylin. When will your guide be coming out? Tell us a little about it? I expect my guide to come out on the 15th of December 2014. I felt the need to instruct my feline friends on how to help the humans they live with adequately care for them. The main aim is to save time when getting our ideas across to them and live in the comfort and style that we deserve. What inspired you to create a guide? I felt it was necessary. If there are guides on how to programme a TV, then the more reason there should be one for us as we are far more delicate. What do you hope your guide will teach others? I hope it will inspire other cats and give them a few tips on how to handle different situations that come up when we share our space with humans. What is life-like being a cat among humans? When they understand our feeding schedules, playtime, siesta… We tend to live in perfect harmony. Most of the time one glance is all we need to communicate with them; this has made it really easy for cats and humans to share the same vital space. Is there any cat hates that us humans do that annoy cats? It depends on the individual cat, in my case I hate being picked up, but for some reason it is done constantly. I guess it’s the curse of being so attractive. Do you have a favourite place you liked to roam while you were creating your guide? The most creative spot for me is the garden. When the sun is out I can just lay there and let the ideas flow. I then doze off for a while, as this is a very energy-consuming activity. Do you have any advice for fellow cats who are thinking of starting their own books? I’d like to encourage them to do so, we have so much to say. We are also very observant and this makes us excellent storytellers. Thank-you very much Balou for taking time to do this blog interview, it has been a pleasure to hear about your guide. I for one can’t wait to read it with my two cats. I wish you all the best with Balou Uncensored. ← My Review Little Of Wish Upon A Star By Trisha Ashley. Thanks 🙂 I hope you’ve had a nice week. I must get this for Izzy – possible Christmas present! Thanks Hun, me too my two cats will want this book in our house I think. I hope you and Izzy have had a lovely week. Great interview Katie! This looks like a good book. I like the illustrations too. Thanks Hun… I agree I like illustrations too. I hope you, Cleo and Othello are well.